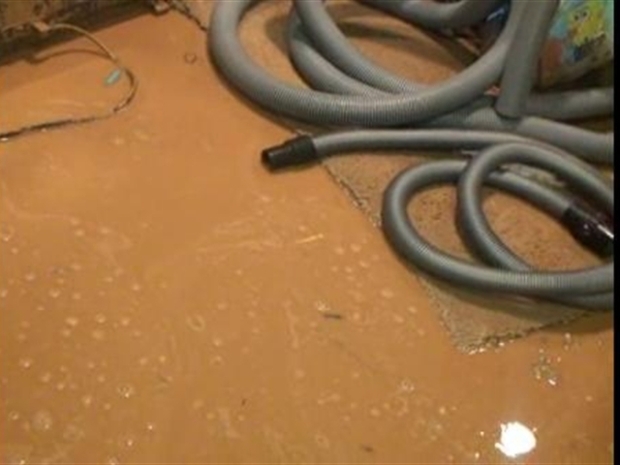 A water main break flooded basements in Kensington, Maryland. Residents in Kensington are still cleaning up this post-holiday weekend after a water main break caused flooding in 14 basements and cut service to 27 homes early Christmas morning. Officials say an 8-inch main broke on Matthews Lane early Friday morning. The break sent water gushing down the street, causing a 10-foot sinkhole. One neighborhood resident, Bob Rinehart, had just finished wrapping Christmas presents around midnight when the break happened. “Next thing we knew, we had 6-inches of water in our basement. When it was all said and done, we ended up with 14 inches of water in the basement,” Rinehart told News4. A water main break was not what these Kensington residents were expecting Christmas morning. The Washington Suburban Sanitary Commission said it had to cut service to about 27 customers. The water was restored later that afternoon. The WSSC said it was a combination of the cold weather and the water main's age -- it was approximately 60 years old -- that caused the break.